State museums offer free entrance to EU Citizens under 18 and over 65 years of age, and reduced price tickets to those between 18-25. Initiated by the Medici family in the late 16th century, the Uffizi is the most famous art gallery in Italy, with representative works by Italian masters, such as: Cimabue, Giotto, Duccio, Simone Martini, Masaccio, Paolo Uccello, Piero della Francesca, Filippo Lippi, Botticelli (The Birth of Venus), Leonardo, and Michelangelo, in addition to: Mannerists, Flemish, Spanish painters, Venetian artists, all the way up to Tiepolo, as well as French and German schools. The characteristic Vasari Corridor connects the museum with Pitti Palace, passing over the Ponte Vecchio. Home to seven of Michelangelo’s marble works: the David, St. Matthew, four unfinished prisoners, and the Pietà di Palestrina. The surrounding rooms contain one of Italy’s most important art galleries, rivaled only by the Uffizi and the Pitti. Sculptures and works of Medieval Italian Art and Renaissance Art. Pieces by Donatello, Brunelleschi, Della Robbbia, Verrocchio, Pollaiolo, Michelangelo, Giambologna, and Bernini. The courtyard and the chapel lie under arcades and feature frescoes attributed to Giotto. Pitti Palace, the former residence of Napolean, as well as the King and Arch Duke of Florence, is home to several museums. You can buy a special ticket to visit all six Palazzo Pitti museums, valid for three days from date of purchase. There is also a ‘light’ version of this ticket, which includes: Boboli Garden, Museo delle Porcellane and Museo degli Argenti. The ideal continuation of the Uffizi, the vast art gallery of Pitti Palace is famous for its works by great painters of the XVI and XVII centuries. The most typical and splendid Italian garden of the late Renaissance: an open-air museum for its variety of statues, fountains, grottoes, obelisks and fish ponds. The Museum is incorporated into the vast complex of Basilica San Lorenzo, which, being the parish church of the Medici family, is particularly richly decorated. It is here that members of the family have been buried from the mid-15th century on. The New Sacristy, which Michelangelo designed, is famous for the tombs of Lorenzo and Giuliano de’ Medici, creating one of the masterpieces of architecture and sculpture of the Italian Renaissance. Created by the Medici family in the 16th century to promote ‘Florentine Mosaic Work‘ made with semiprecious stones. A restored, elegant Renaissance residence including kitchen, bedrooms, dining room, and study. The architectural structure of the palace represents an interesting example of a 13th century home, showing the transition stage from Medieval tower house to Renaissance building. And important museum regarding the study of Etruscan art and civilization. It includes a Topographical Museum, Egyptian Museum (the second-most important in Italy) and many Greek, Etruscan and Roman sculptures. This museum shows all the great stages of prehistoric human history from the Paleolithic period to the Iron Age. The Last Supper and detached frescoes by Domenico del Ghirlandaio. The famous Last Supper fresco and other works by Andrea del Sarto are housed in this ancient Monastery. Its rooms exhibit important works by various 16th century artists. Perugino’s Last Supper fresco resides in the refectory of this ancient convent. It’s considered one of the most important examples of Umbrian culture in Florence. The renaissance refectory of this ancient monastery preserves frescoes and works by Andrea del Castagno. A small and elegant cloister of the Confraternity “Scalzo” of the 16th century. Frescoes by Andrea del Sarto and Franciabigio. Open: Mon-Sat, 9:30-12:00, 17:00-17:30, 18:10-19:00. Sunday, 9:30-11:00, 17:00-19:00. In the ex-monastery of St.Mary Magdalen of the Pazzi family lies this masterpiece of Italian Renaissance by Perugino. Open: Church: 10:00-17:00, daily. Museum of sculptures: 10:00-17:00, Mondays. 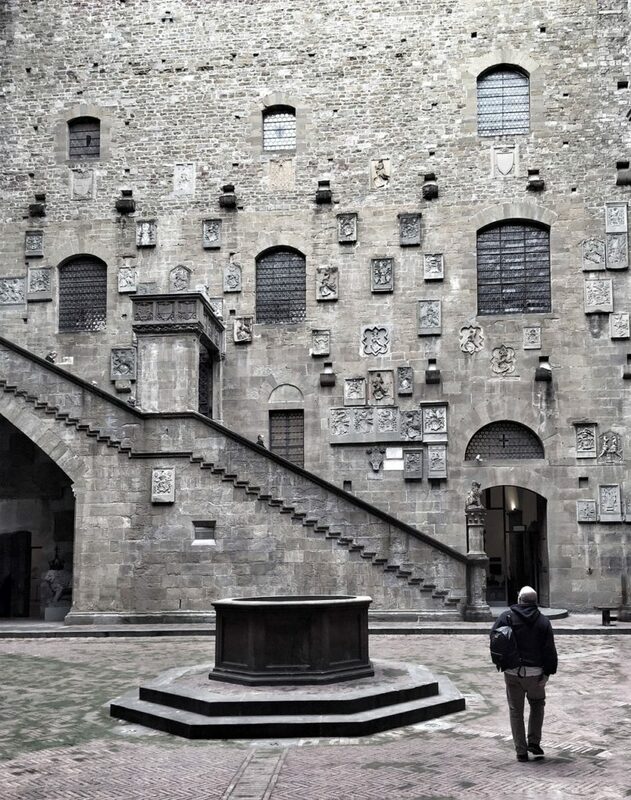 The Museum preserves decorative sculptures, paintings and works that were commissioned for Orsanmichele Church. Open: Mon, Sat, Sun, 10:00-16:00. Orcagna’s Crucifixion and a collection of other works of art.